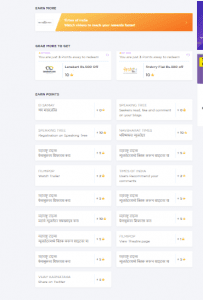 TimesPoint Freebies – hello Friends, are you looking for the PayTM Flight voucher or PayTM Movie Vouchers & other freebies so here we are with a new offer. Just register on Times point & get a PayTM flight 1000 Rs. 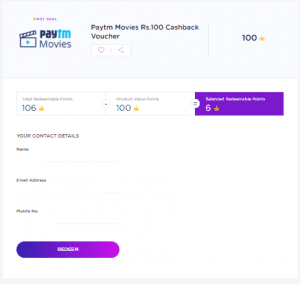 Cashback voucher or Rs.100 Movie Voucher. 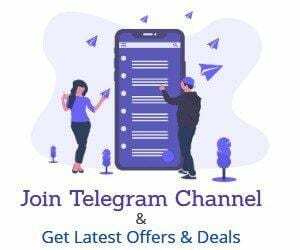 You just need to signup on timespoint & you will get 100 Points as signup bonus and 20 points when you complete your profile so You get total 120 points on complete signup you can redeem for various vouchers and offers. How to Earn TimesPoints: Sign up on TimesPoints (Click Here) & log-in to the TIL property you frequently use. For each activity, you do on Times Of India, NavBharat Times, NewsPoint like reading articles, watching videos, check-in, etc., earns you Points. Unlike other reward programs, TimesPoints does not urge users to spend money to gain benefits. TimesPoints, in fact, rewards their existing habits and gratifies them as they continue to enjoy their daily activity on various platforms like Times of India, NewsPoint. We aim to offer users benefits that are truly meaningful. With the largest network of partnerships, TimesPoints is the one-of-its-kind program with benefits from across 100+ brands and is like money in the wallet. –> you can get Rs.1000 PayTM Flights voucher for Just Signing Up. –>You can also get a free haircut at VLCC with Signup points & Paytm or Amazon Vouchers. Complete your profile to get 120 BONUS POINTS INSTANTLY!